height varies: 36" x 36" x @44"
Although they were designed for outdoor applications, they work well indoors also. 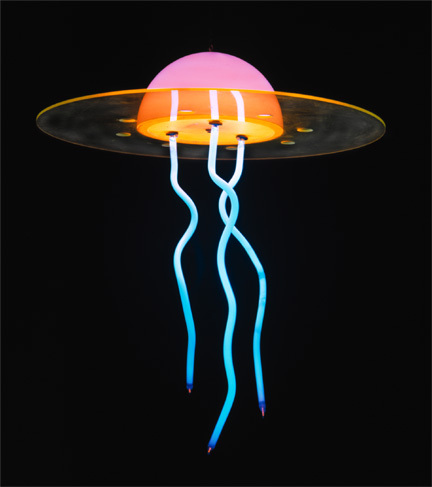 Constructed of lightweight acrylic, they are easy to install and consume very little energy. 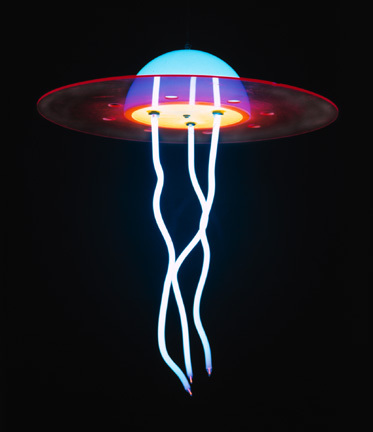 Hinting at art deco and '50's style science fiction ("Jellyfish meets Flying Saucer"), they are playful, colorful and dramatic. Bold enough to display alone, they have incredible impact when displayed in groups.